WORKERS in their late 50s or under will have to wait until they are 68 to claim the State pension as the qualifying age is set to become one of the highest in the world. You must be 66 to draw the State pension at the moment, but this will rise to 67 in less than three years, before jumping to 68 in 2028. There is the possibility that the age at which you can draw the pension could get even higher from 2035 as the Government plans to reassess the qualifying age every five years when it reviews life expectancy. What is the pension reform plan? The Government has promised big changes to the pensions set-up in a new 48- page ‘Roadmap for Pensions Reform 2018-2023’, which was launched when the Beast From The East struck earlier this year. Although many of the measures promise to boost the retirement incomes of future generations, the driving force is to ease the burden of the pensions bill facing the State. What is the main thing I need to know? The centrepiece of the plan is to automatically enrol workers in a new scheme, which has been promised for years. This would affect two-thirds of the private sector workforce, or 1.2 million workers, who would only have the State pension to fall back on. It will have little value to those due to retire in the next few years though, as it’s being introduced, to quote the department, “by 2022”. Private sector workers above a certain age, eg 23, and income threshold that could be €20,000 a year, and without private pensions, will be automatically enrolled. They can opt out after a minimum period, which has not been decided yet, and their contributions refunded. The pensions roadmap gives an example of nine months as the minimum period. The roadmap does not address the important question of how much workers, employers or the State will pay into it but gives some clues. It says the State might match worker contributions on a 1:3 basis, but its contribution will replace any existing tax reliefs. Employers could be asked to match worker contributions euro for euro with an eventual limit of 6pc of gross salary. Under such a scenario, a worker would make a contribution worth 6pc of their salary, their employer would pay the same, and the State would put in 2pc. This would equal a total contribution of 14pc of wages. Workers will not be able to draw down the pension until they are entitled to the State pension, which currently stands at 66, but will rise to 67 in 2021 and 68 from 2028. Is there anything new for State pensioners? Yes, everyone who retires after 2020 will have their pension calculated using a new method known as a ‘total contributions approach’. This will benefit some workers, particularly women who took time off to care for family members, but it could disadvantage others including the self-employed and part-timers. Don’t forget, it is possible to get a full pension with 10 years’ contributions under the current method. The new method means you must be making contributions for 40 years. Will the value of the State pension go up? It should do. It’s currently worth around €12,000 a year. The plan intends to peg the value of State pension payments at 34pc to 35pc of average earnings. It also says that future increases in payments will be linked to changes in inflation and wages rather than politicians’ decisions at budget time. The big downside is the impact that the cost of the whole system is going to have on taxes and PRSI rates. The Government plans to hire actuaries to review social insurance contribution rates on a yearly basis to decide what “changes” might be needed. It says this is designed to “bring greater certainty” to the funding of the State pension. Is there anything that workers with private pensions need to know? 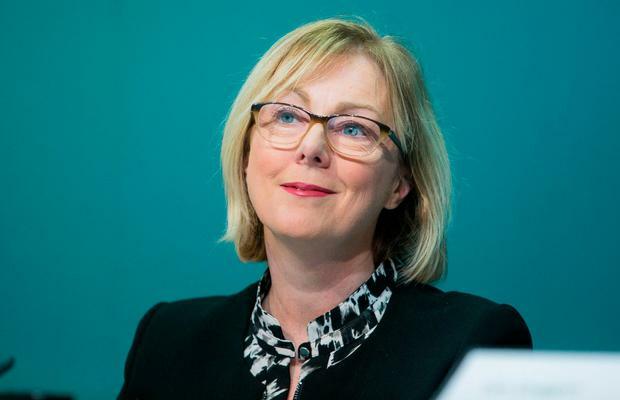 A Social Welfare, Pensions and Civil Registration Bill will be advanced this year to bring in new controls relating to the funding of defined benefit schemes. This should make it harder for employers to close down schemes. Kevin Doyle A "fight to the death" over increases to the old-age pension in the next budget has been declared on the day that the latest €5 hike kicks in. Laura Larkin Three-in-four people who have had their pension entitlements reviewed were found to have been hit with an anomaly that has seen them short-changed.